Compact, small tiller for fine-grained soil loosening and sowing preparation Lightweight, manoeuvrable 1.7-kW powerhoe with a weight of only 26 kg - ideal for smaller areas 4 active working cleavers with 35 cm working width for easy loosening 3-fold adjustable brake spur for setting the correct working depth Powerful assistance in the vegetable garden: our cultivators impress with their working blades, powerful motors and top operator ergonomics. 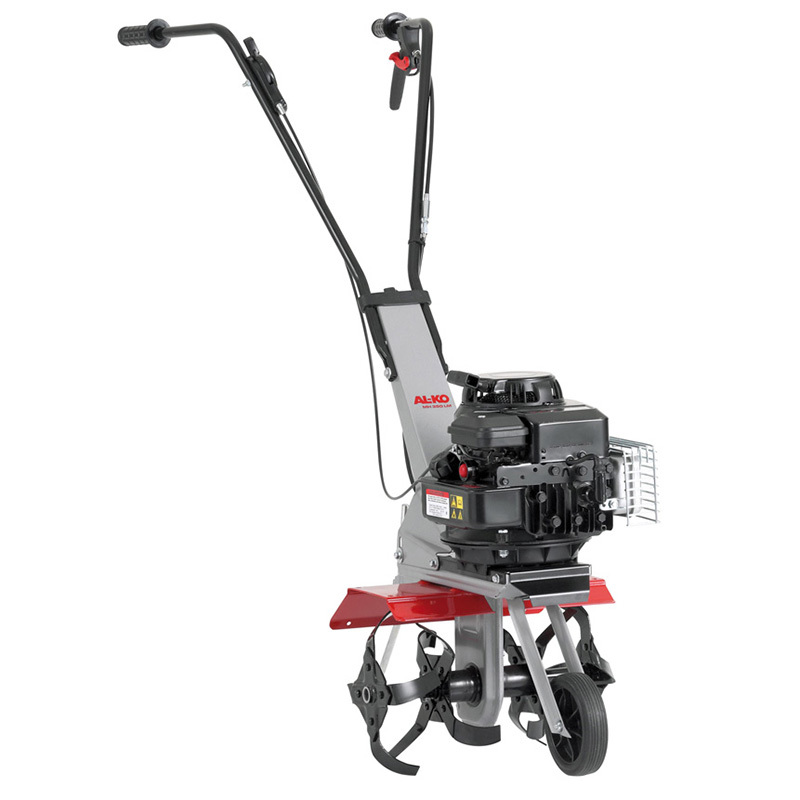 The AL-KO MH 350-4 cultivator - the lightweight under-ground tiller The MH 350-4 motor hoe is your slender, agile helper for efficient, time-saving use in your managed garden whether cultivating, ventilating or loosening the soil. With the AL-KO MH 350-4 tiller, you prepare the soil well before sowing, loosen it up and work in nutrients, fertiliser and fresh topsoil. The light and agile soil tiller MH 350-4 is an ideal helper especially for hobby gardeners making soil cultivation very easy and gentle on the body. Technical data of the AL-KO tiller MH 350-4 With the MH 350-4 cultivator, loosening small areas of ground does not require much effort. With a working width of 35 cm you can reach every corner of your garden. The ease of working compared to manual work with shovel and spade is enormous. Because the actively working, four specially shaped knives ensure maximum cultivating performance - and with its 1.7 kW engine, low weight of 26 kg and being an easy to start device, it has all the qualities to be able to assist in all soil preparation tasks. The ergonomic handlebar is infinitely height adjustable and can be folded down for transport. The 3-way adjustable brake spur allows you to adjust the working depth as needed. The ergonomic operating elements in conjunction with the low weight make it easier to work with the MH 350-4 in any position, in winding beds, on slopes and slopes. The removable transport wheel allows the cultivator to be easily moved to and from the working area. In addition, the high-quality tiller blade cover are made of sturdy sheet steel protects the operator against flying stones and soil.